Special Christmas Offers/Deals from Coach's Clipboard... get that coach or player something he/she would really like. I have gotten lots of questions from coaches and parents about coaching youth basketball, and advice for coaching youngsters, let's say 1st through 6th grades... elementary school children. You are probably a parent coach, a teacher-coach, a former player, or someone who just likes kids and wants to help coach and work with kids. You may be organizing a recreational league or a church league, or are developing a program at your elementary school. Some of the kids may have played some, and some have never played before. Some are there because they already love the game, and some are there because of their friends. Some were urged by their parents to give it a try. Their parents will likely have varying perspectives. A few will think you should win every game at whatever cost, and will be yelling advice from the sidelines. Some will be thankful and happy that their child is on your team. Some will be a little fearful that you may yell at their child, or that their child may not be a good player and will embarrass him/herself. So what advice do I give you? First, make it fun for the kids. Do not yell negative things at them as this embarrasses them in front of their friends, and is actually counter-productive creating more stress and more mistakes. It makes you look like a bully, and you may completely turn the player away from ever wanting to play again. You can yell, but it should always be positive comments. If a player messes up, don't embarrass him/her in front of his/her friends. Maintain a positive attitude, even if you are losing by 20 points. Teach good sportsmanship by your example... no yelling at the refs, no demeaning the other team, other players, etc. Teach them to play hard, but do not allow "dirty" play or trash talking. Teach them to respect their opponents and the officials. Wins and losses are not important at this age. Teach them that you don't have to win a trophy to be a winner. Also, let the kids know that it is OK to make mistakes, that you expect them to make mistakes. 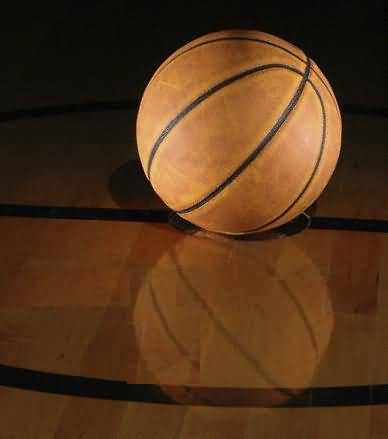 Basketball is not a perfect game. Everyone makes mistakes, even Michael Jordan. Coaches, refs, players... all make mistakes! You just have to keep playing hard and learn from those errors. "A good garden may have a few weeds." - John Wooden. If you have an actual team (not a large clinic-type group), teach them about teamwork and their responsibilities to the team... coming to practice, encouraging each other, helping each other, etc. In dealing with parents, be honest and open and show them that you really care about helping their child... get them on your side. Make yourself available to talk with them. Be diplomatic about any "coaching" advice they have to offer. Rather than getting into an argument, just politely listen and thank them for their interest. Remember that most parents are good people who care about their kids and just want what's best for them, just like we all do. Do not simply choose to ignore parents. You may be able to get away with this if you are coaching at the college level, but it is still churlish, inconsiderate behavior. When coaching youth basketball, even at the high school level, parents can help make or break you... believe it! If you have a son/daughter on the team... be fair. Do not give your own child more playing time than the others. Treat your child like any other player on the team... do not over-criticize and expect more from him/her. And don't provide him/her any special treatment either. When you are at the court, he/she is like any other player on the team. Away from the court, he/she is your special child and needs your love and support, not criticism... save any criticism or advice for when you are actually in the gym... kids don't even want to hear about it in the car on the way home. My daughter sure didn't! West Coast 1-4 Stack Offense... review of Coach Steve Ball's DVD and a lengthy, detailed discussion and diagrams of the West Coast 1-4 Stack Offense. Added a new intense, competitive close-out drill, the "Arico Close-Out Drill". Legendary UCLA Coach John Wooden and his player, all-time basketball great Bill Walton have always had great respect and love for one another. I love the story that Walton has told about his whiskers. Back in the late 60's and early 70's, being "free" was the motto and lots of young people had lots of hair... but not Coach Wooden's UCLA team, strict rules applied. Walton was his star center and over a break from the season, he grew some facial hair, and he was going to test Coach Wooden, who always told his players to stand up for what they truly believe. Coach took Walton aside immediately about the beard. Walton replied that he truly believed that it was his right to have facial hair. Wooden, "Do you believe in that strongly, Bill?" "Yes I do coach, very much." "Bill, you know I have great respect for individuals who stand up for what they really believe in... I really do... and we're going to miss you." Walton went into the locker room and shaved it off before practice started... no hard feelings on either side.